Second-year medical student McKenzie Nelson remembers trips to the doctor as a child were far and few between. She grew up in the village of Bloomingburg, nestled in southern Ohio and at least an hour from the nearest pediatrician. Nelson has an admiration for doctors serving rural areas and is studying to someday practice pediatrics in a similar setting. She is among the two dozen medical students who are part of the Rural Health Student Interest Group. The group started last August and meets about five times a year with activities designed to focus on health issues facing rural areas, offer health-related volunteer opportunities in rural areas and provide medical students shadowing opportunities with health professionals. Sharron DiMario, center director of the Area Health Education Center (AHEC) in the College of Medicine, is the advisor for the Rural Health Student Interest Group. The University of Cincinnati (UC) AHEC is housed in the College of Medicine. Its service area includes the counties of Adams, Brown, Butler, Clermont, Clinton, Hamilton, Highland and Warren. Its mission is to enhance access to quality primary and preventive health care by improving the supply and distribution of health care professionals in underserved rural and urban areas. The center partners with the UC Academic Health Center on inter-professional educational programming. Nathan Northern, a second year medical student, says the rural health student interest group held an outreach program in January in which medical students spoke with elementary school children about the dangers of unsupervised use of prescription drugs. Northern says the current opioid crisis has been fueled by misuse of prescription drugs and that the group felt it was important to create a dialogue on the topic. 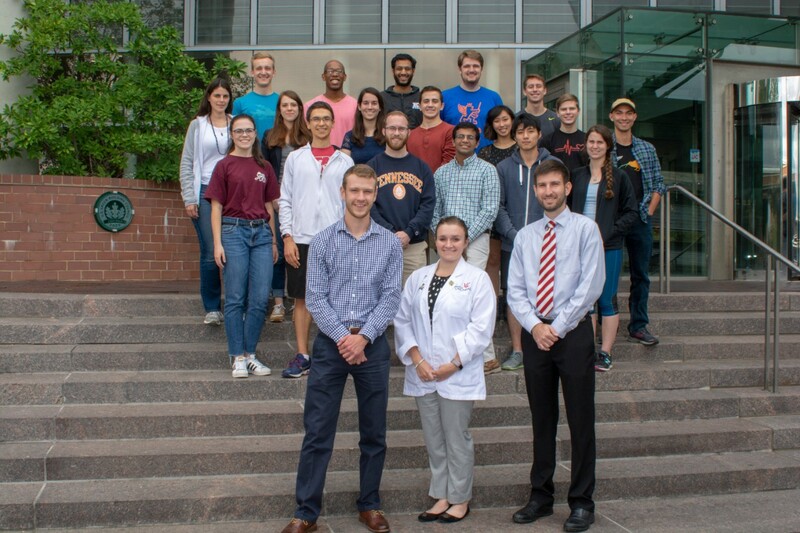 Northern, Nelson and Andrew Benza, also a second-year medical student, decided to form the rural health student interest group after attending a medical student service organization fair last year and sensing a real need. Members of the Rural Health Student Interest Group are shown in front of the UC College of Medicine. Top photo by Colleen Kelley/AHC and secondary picture by Lisa Britton/AHC.